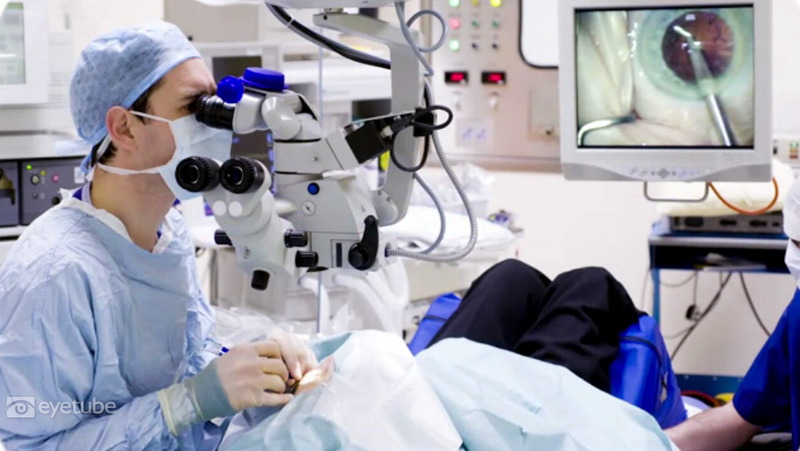 In 2019 we had performed the first live streamed human cataract surgery (as far as we are aware) with the Avegant virtual retinal projection device attached to Alcon's TrueVision NGENUITY 3D surgical visualization system. The main disadvantage of NGENUITY's traditional design is the 3D TV screen, which has inevitable latency. The Avegant is particularly suitable because of the lower latency, high contrast and luminous levels, depth of field exceeding the TV screen, and absence of pixelation. Further investigation will be done in order to evaluate the safety and efficiency of this setup and the future of the “MR devices” in the next step of the human surgery, which could be robotic assisted procedures.